What differentiates a powerful public relations program from one that’s just okay? The key is usually a winning strategy. “Strategy” is a word that’s thrown around a lot by PR and marketing professionals, and its meaning is often diluted. In our business, it means the blueprint or roadmap for how we’ll achieve our goals. Many confuse it with tactics, but those refer to the concrete activities or actions we take as we follow the strategy. Tactics should be informed by strategy, but they’re separate. To me, strategy has always been about the “how” of accomplishing PR goals. Let’s say you’re working to promote a supply chain software sold to equipment manufacturers. A reasonable strategy might be to use influencers to position it as a way to save manufacturing downtime, costs, and customer irritation. Supporting tactics could include targeted stories in key trade publications, influencer blog posts, conference sponsorships, customer education or awards events, and more. The list of possible tactics is endless, but each falls under the main strategy. So how do you create a successful PR strategy if it’s not instinctive or obvious? Here are some of our rules of the road. What are the goals of the program? They shouldn’t be vaguely defined as in “increased visibility” or “enhanced reputation” because those are too broad. It’s more useful to focus on specific benchmarks for visibility, like increasing awareness within a target audience by 10%, or conveying specific product attributes that differentiate from the competition. The most strategic PR programs work to build the relationships and convey the attributes that lead to measurable business performance and growth. In public relations, we rely on a blend of experience, storytelling instinct, and imagination to inform our programs and our work. But those qualities aren’t enough. To go the distance and make the investment worthwhile, the overall PR strategy should rest on research that helps define the value proposition and confirms the customer and media targets. The best plans also start with a thorough brand communications audit that includes insights into customer, channel partner, and employee perceptions of the business or its products. It’s no surprise that most ad and marketing agencies start by talking to customers because some of the best ideas can emerge from customer and market research. Market research comes into play here, but so does focus. A common mistake is to try to target too many audiences. If there aren’t sufficient resources to reach many different kinds of prospective customers, it pays to prioritize and be relentlessly disciplined in the messaging and program execution. A strong strategy is also informed by external insights – key trends, disruptors, and specific industry changes that will affect the company over the long term. Other resources may be internal. Employees have customer contact, and virtually everyone talks about the organization where they work with others. Soliciting input from stakeholders, especially employees, is useful for developing a killer PR strategy for two reasons: first, they have deep and unique knowledge of a brand and its customers; and second, because they serve as informal ambassadors for the brand. For better or worse, employee chatter will almost always fill gaps created by inadequate communication within the company. Why not make them for the better? Sometimes the public relations messaging is developed to communicate a product’s “higher-order” benefits while, simultaneously, direct-marketing promotes deep price discounts. This isn’t ideal, because the two messages may be in conflict. I once managed a well-funded campaign for a weight loss brand that focused on building scientific credibility against gimmicky competitors, yet our messaging was somewhat diluted by heavily advertised quarterly price promotions. While both types of messages can coexist, if they’re not carefully aligned, they can end up fighting with one another. Sometimes PR people embrace tactics that we know will generate media coverage – with good reason! Tactics are the fun part. In the heat of battle, we can overfocus on execution, too. But even the sexiest events may not dovetail with your target customer’s needs. Someone once said to me that the difference between a strategic plan and a tactical one is that the former focuses on delivered results, while the latter on delivered change. 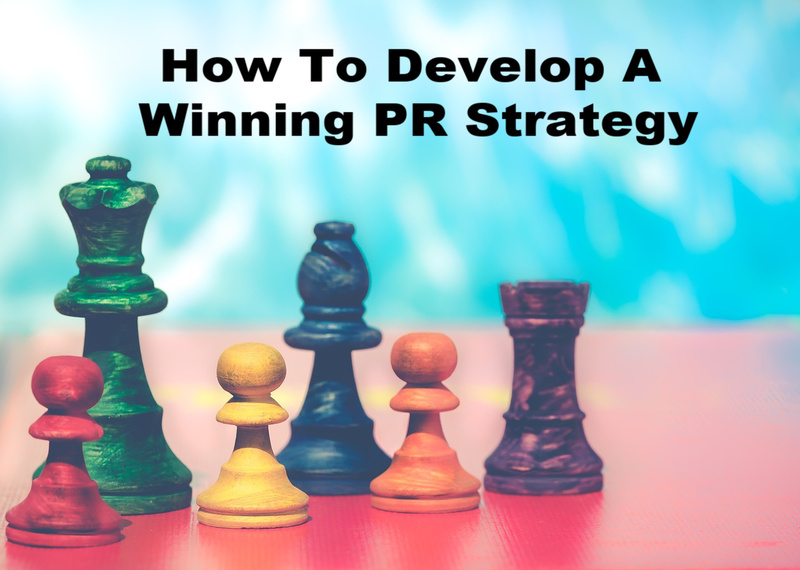 Once the strategy is nailed down you’re ready to write the PR plan. But it pays to remember that public relations works in a dynamic environment and things can change. A bulletproof strategy is adaptable to market conditions, competitive developments, or even changes in the news cycle. And a good plan should include a crisis contingency that prepares for potentially damaging scenarios with a defensive strategy for quick action. Check out this post for tips on making any PR strategy bulletproof.